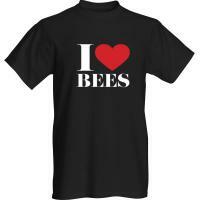 Bees Are Life ... it's that simple! Bees Are Life’s Mission is “to advance the understanding of and preservation of the honeybee as a vital resource in our ecosystem and food web, through public education, advocacy, support for Ontario beekeepers, and the keeping of urban and suburban beehives”. Bees Are Life, Inc. is a social enterprise whose goal is to support and re-establish the world’s dwindling honeybee and native bee populations in one corner of the world at a time, starting in Toronto, Canada. We do this by managing bees in urban and suburban locations using sustainable beekeeping practices, going organic wherever possible. To share the “bounty of the bee” we work with local beekeepers to bring pure 100% Ontario Honey to the public, through our Toronto retail store, Farmer’s Markets in the GTA, online, at many special events and as suppliers to other fine retailers. And, with a focus on public education we will further grow the public awareness of the importance of bees to our planet. It is said that at least one-third of every bite of food we eat exists because of the direct pollination work and intervention of bees. 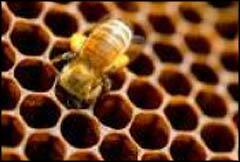 If you look further down the food chain the positive impact the bee has on our food supply is much greater. Finally the precarious state of honeybee and native bee populations all throughout the world is receiving appropriate public recognition. 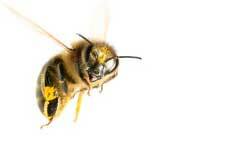 Colony Collapse Disorder (CCD) has ravaged honeybee populations; in some parts of the world up to 90% of bee populations have perished. Native habitat and forage grounds are disappearing at an alarming rate as industrialization continues. The invasion of the Varroa Destructor mite and other bee pests and diseases continues, causing significant winter losses and the general decline in health of bees. 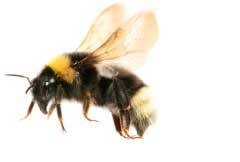 The unabated use of pesticides (especially neonicotinoids) in agricultural areas, cosmetic pesticides in urban areas and industrial pollution (singularly and in combination) are in large part responsible for the mass die off of bees. Frankly, for the last 15 years bees have had a very rough go of it! In Ontario in 2014 almost 60% of honeybees did not survive our winter (whereas 15% is the norm) another critical factor in the success of our local bee population. Einstein is attributed to have said “If honeybees were to disappear from the face of the earth mankind would be gone in 4 years”. OK, so it may not be four years that we have left, it may be 10, 50, or more … but man is on that slippery downward slope without bees in our lives. 9)	partnering with other not-for-profit organizations, NGOs and charities in the field to build new capacities to support bees. 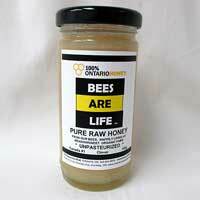 Bees Are Life, Inc. was incorporated on July 8, 2013 under the laws of the Province of Ontario. We are registered beekeepers with OMAFRA and Members of the Ontario Beekeepers Association and Toronto District Beekeepers Association. 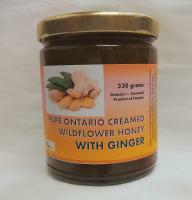 Since 2013 Bees Are Life Inc. has brought Ontario’s most delicious and delectable honeys to shoppers at the AppleTree Davisville Farmer’s Market (Tuesdays) and the Port Credit Farmer’s Market (Saturdays). In 2014 we added AppleTree Ryerson Farmer’s Market (Wednesdays), Humber College Farmer’s Market, and in 2015 The Uptown Market at St.Clement's (Thursdays) and the York-Eglinton BIA Farmer's Market to our line-up. Look up our "Farmer's Market" listing for current locations and come visit us at one of them some time soon! To satisfy Toronto’s growing honey appreciation our first retail store opened on November 1, 2014 on Eglinton Avenue West, and in June 2016 we moved to our new, larger home located at 1265 St. Clair Ave West - and it's now a hub for honey aficionados and the home of our honey harvests and beekeeping events. 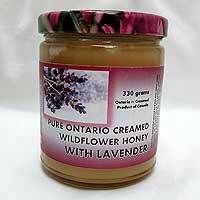 Drop in for a taste of the finest in 100% Ontario honeys (currently from 27 independent Southern Ontario beekeepers) or to explore our wide array of apitherapy products, beekeeping equipment, beekeeping gear and equipment, bee giftware and unique and customized honey gift baskets ... all which make great gifts. 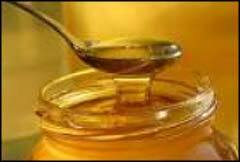 We have free samples of all the honeys we sell, and kids under 14 who visit are ALWAYS offered a FREE Honey Stick (one per person, per day).